Is Too Much Advertising Killing Daily Fantasy Sports? New York Attorney General Eric Schneiderman announced Tuesday that daily fantasy sports, also known as DFS, constitute illegal gambling in his state. As first reported by ABC News/ESPN, cease-and-desist notices were sent to FanDuel and DraftKings, the two major players in the DFS world. Some experts say the multi-million-dollar advertising push essentially taunted the government into getting involved by placing so many ads and sponsorship deals that were impossible to miss. ThePostGame.com founder and CEO David Katz told Adweek that FanDuel and DraftKings saturated the market. "The recipe for killing a nascent industry that is attempting to grow outside the eyes of regulators and politicians" has three ingredients, Katz said. "No. 1—become the largest advertiser in media overnight, blanketing television, radio and online. No. 2—run the same creative repetitively to the point of annoyance. No. 3—mix in a pinch of scandal that impugns the integrity of the product," he said. "Voila." But FanDuel CEO and founder Nigel Eccles said the advertising blitz was inevitable. "Advertising was a very natural course. We continue to grow that," Eccles said in a hastily arranged conference call with reporters this afternoon. "It's fair to say it put us on everyone's radar as we became mainstream." Eccles said it was "only a matter of time before we got to this level of prominence. Advertising helped us get there faster." In July, DraftKings CEO Jason Robins told Adweek, "DFS could be among the top categories of advertising in sports over the next year." DFS companies have been launching ads at sports fans from every direction. Basically, every major American sports venue is covered in signage. Segments are sponsored on ESPN, the NFL's RedZone Channel, and anywhere else sports is discussed on TV. There are also podcasts, radio shows and digital banners promising "real money" for winners. DraftKings even plasters the PATH train that connects New Jersey and New York. So would New York's attorney general have noticed the booming industry if he wasn't inundated with reminders? "This is a case where raising too much money hurt the industry instead of bolstering it," Katz said. "All of that cash created an arms race for users. 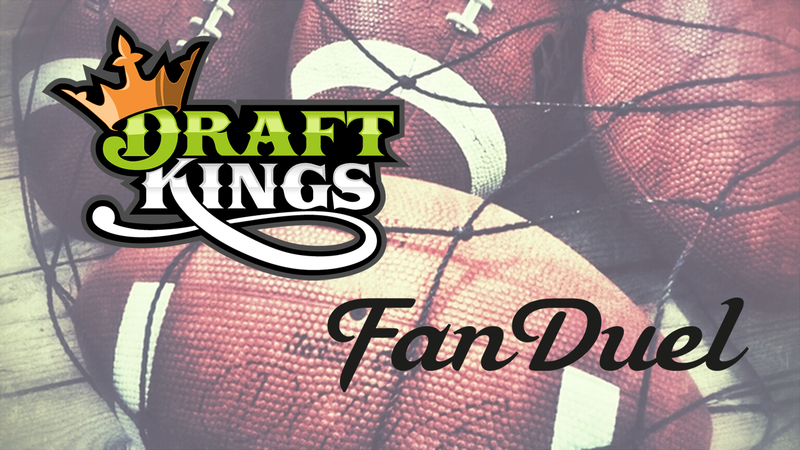 If DraftKings and FanDuel had simply grown in a quieter, more organic way, they would have been much less scrutinized." Even sports fans appear to be sick and tired of the nonstop ads. Reactions on Twitter have included: "At least we won't have to see the commercials anymore," "if it stops the incessant commercials I am all in favor," and "now we won't have to see millennials who turned $12 into $10 million in a weekend." @darrenrovell Can their commercials stop too? Despite the criticism and legal probe, FanDuel's founder doesn't regret the aggressive campaign. "The business is doing extremely well, and the reason it's doing extremely well is because we have millions of players every week. I don't regret that advertising helped us to get there," Eccles said. "I don't think we should be apologetic about letting people know that we have this great product." Still, FanDuel is dialing back some of the ads. "We're really in the process already," Eccles said, adding that the best form of advertising is "word of mouth." The winnings have been taxed, and Schneiderman apparently won't go after cash prizes that have already been handed out.